Thanks Brian. The arrow I used was dressed with the turkey feathers you provided. Seems like when ever something is gifted, it brings good luck. Glad I had a small part of killing a deer this decade, hope you get many more with them. Congratulations Bruce!!! 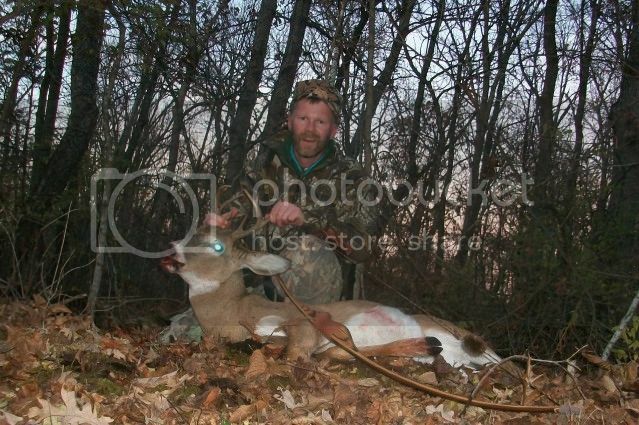 Nice shot on a very nice doe. Sounds like this will be a very memorable hunt. It looks like a good fall was had by all, an exceptionally good year for you Greg. Congratulations everyone! 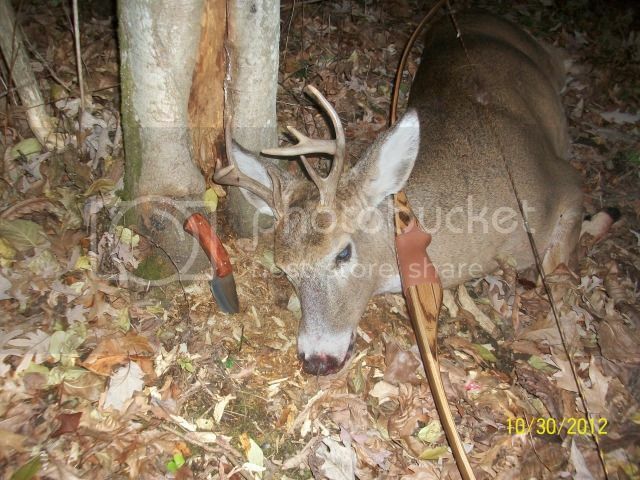 Here's a picture of the buck I got. Tell us about the that bow, since I'm looking for a longbow myself. That knife looks pretty nice as well. Congratulations Jay. Those are extra special when you use a bow and knife you made yourself. The bow is one that I originally made in 1999, I reshaped the handle and gave it a new leather wrap this spring. The riser is zebrawood with a bubinga accent with elm core laminations and zebrawood on the back and belly. I hadn't gotten a deer with it so that was my goal for this year. The knife I made from a piece of bubinga that was left over from a bow that I made my wife this spring. It was a pretty fun hunt. Thanks Greg, we must have been typing at the same time. They are special memories. Well Done everyone! Congrats to all. I cant wait to hear how Joe is doing out west~!